Medical Coding is the key to successful revenue generation. Medical Coding accuracy will influence medical billing returns, rejections and claims denials. A healthcare facility can maximize collections leading to substantial revenue generation with error-free coding, so medical coding services has high value. MedUSA Healthcare Services has medical coding service specialists, and extensive experience in coding. 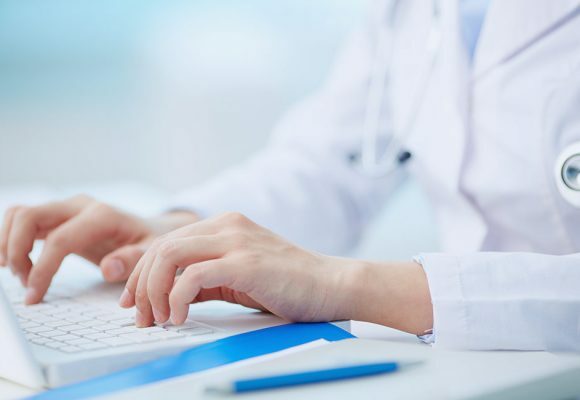 We provide medical coding and coding review services form clients in the Middle East, Connecticut, Texas and Florida. We provide online medical coding for a variety of documents like chart notes, transcription, encounter forms, superbills etc. MedUSA has AAPC certified coders with highly specialized domain experience resulting in accurate code selections in medical coding usa, medical coding service florida. Our Coders are familiar with software like Encoder Pro, Flash code, and CPT/ICD books. Our coders perform cross verification with authentic Local Medical Review (LMR) Policies while preparing coded claims and definitive quality control measures are in place with random quality audits. Coding is in accordance with NCCI (National Correct Coding Initiatives) and LCD (Local coverage decision and medical policies) as per set rules for different states across the US. According to OIG (Office of the Inspector General), the most common risk factors are coding errors, security, misrepresentation and system integrity. We mitigate risk by adherence to CMS and AMA guidelines, using specialized medical coding teams and tracking physician’s documentation for analysis later. The coding team ensures that continuous updates are sent to our clients, which allows the team to bill for maximum accurate reimbursements for services rendered by them. For clients that engage American Billing Service for only medical billing, we review the ICD and CPT codes provided by the practice to ensure there are no conflicting codes, qualifiers or modifiers that will result in rejections or lower reimbursements. When we come across such scenarios, we notify the practice with recommended changes in codes, and of necessary, change in policies going forward. MedUSA also has in place security measures like HIPAA Compliant work places, password protected systems, non-disclosure agreements, virtual private networks and firewalls, to ensure the security of your information. In October, 2015, mandatory use of ICD-10 coding was implemented. ICD-10 has had a significant impact on all medical billing processes. This more complex coding method provides for a broader selection of much more detailed and specific diagnosis descriptions. Without proper coding, a provider will experience significant increases in denials, delays in payment, and may not receive his or her proper reimbursement for services performed. We are seeing an increase in denials and requests for documentation when ICD-10 codes with “Unspecified” in the description are selected. While not always a choice, wherever possible, we recommend selection of codes more specific to patient condition, affected body part/location and or severity. Assistance is always available at MedUSA for any questions you may have related to ICD-10 coding. Clients wishing to have a review of unspecified codes recently billed can contact MedUSA.